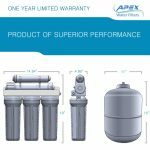 APEX MR-5100 removes more than just chlorine taste and odor from drinking water. 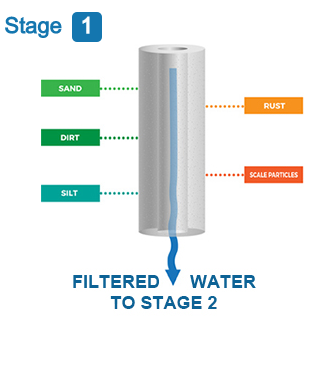 Each of the five stages of water filtration performs a unique purification function, delivering pure, safe drinking water for the entire family. 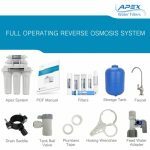 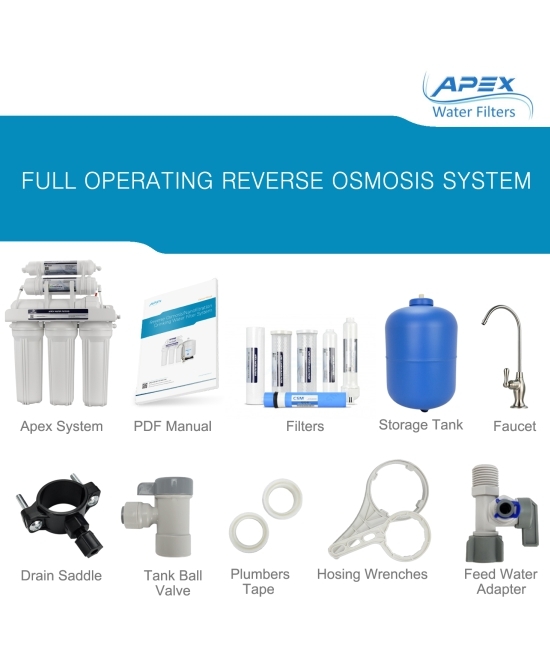 This powerful reverse osmosis system starts the purification process by removing tiny particles like rust, sediment and insect parts. 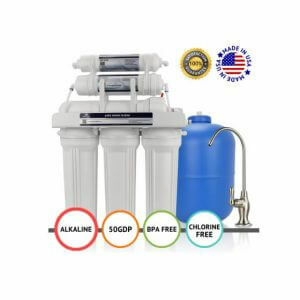 This protects your family and prevents the filtration systems from clogging. 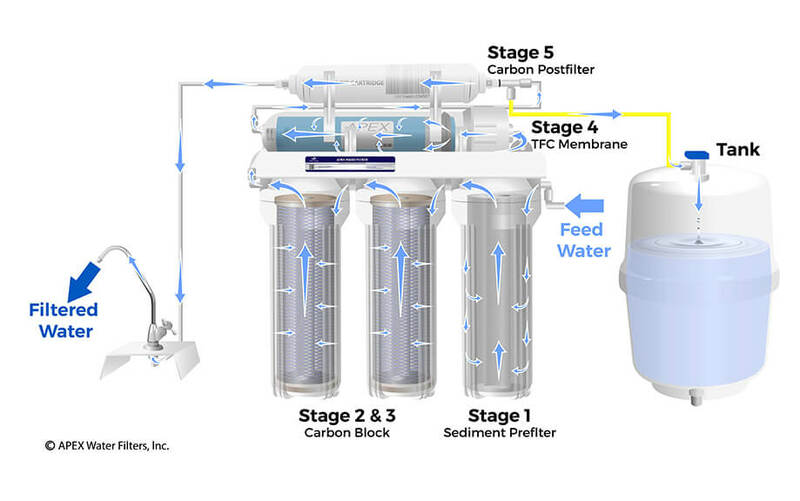 Next, the water flows through two activated carbon block cartridges. 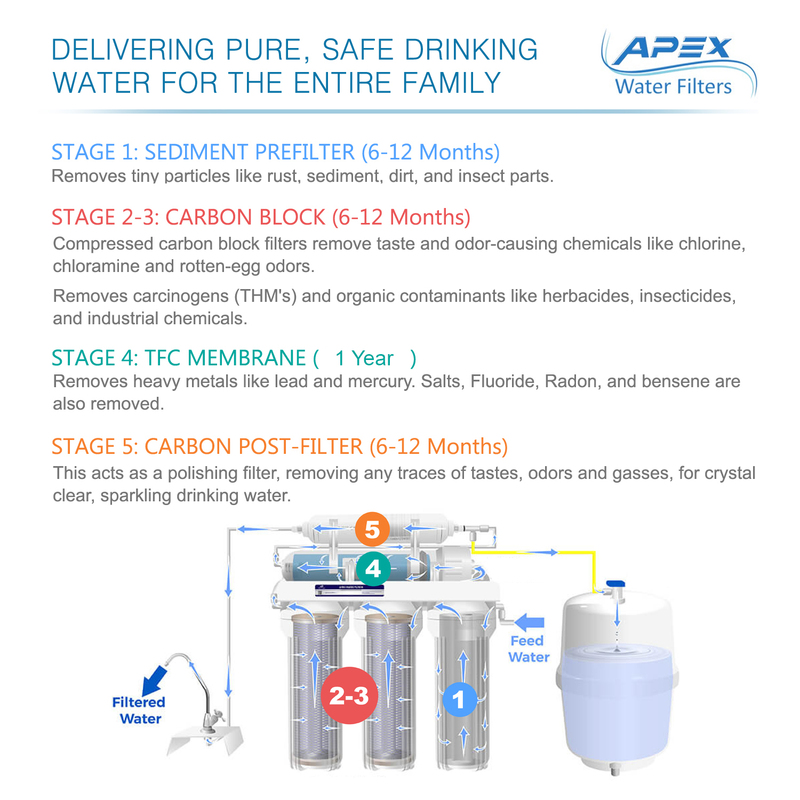 These compressed carbon block filters remove taste and odor-causing chemicals like chlorine, chloramine and rotten-egg odors. 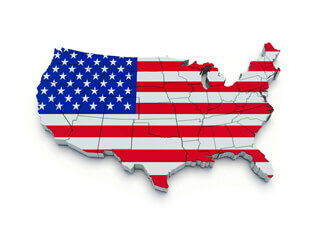 But thats not all. 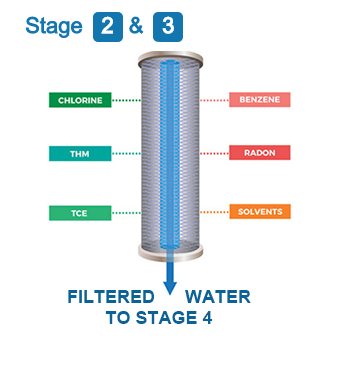 Did you know that the chlorine disinfection process can create cancer-causing byproducts in the water? 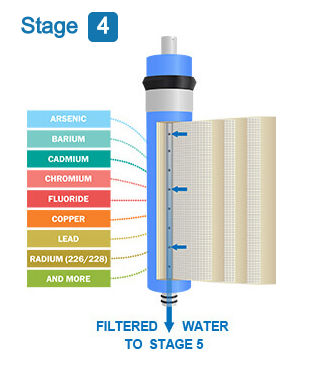 The good news is these carcinogens, called THMs, are removed by the carbon filters. 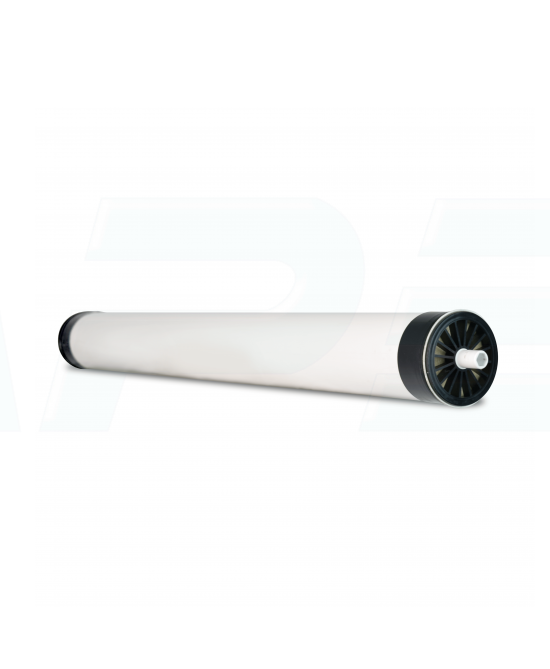 The carbon cartridges also remove organic contaminants like herbicides, insecticides and industrial chemicals that seep into groundwater. 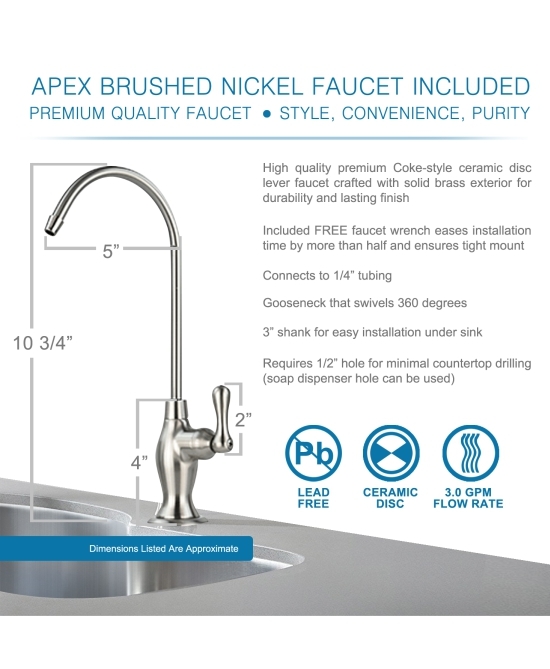 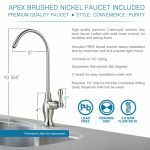 The APEX MR-5100 also includes a water storage tank and designer faucet. 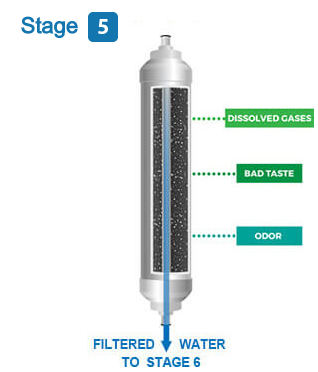 As the filtration system makes purified water, it fills the storage tank (up to 100 gallons per day). 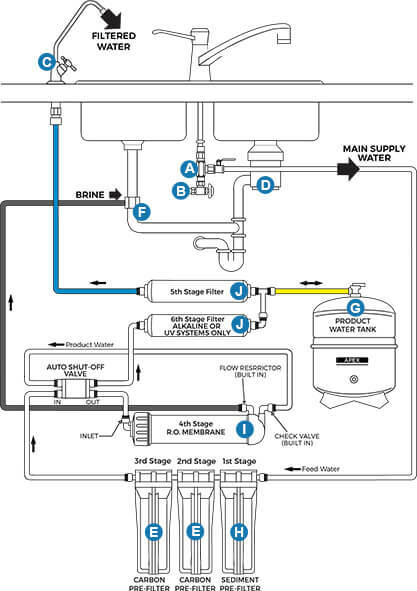 The storage tank sends purified water to the designer faucet. 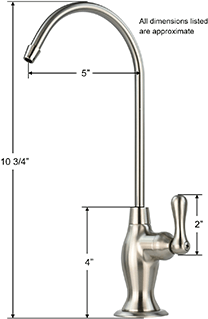 Your regular sink faucet will provide unfiltered water for washing dishes. 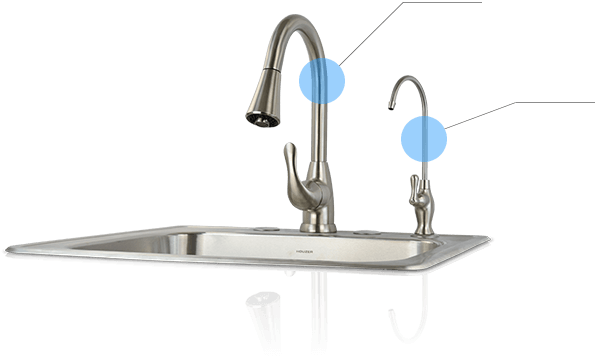 The designer faucet provides only purified water for drinking, cooking, washing vegetables. 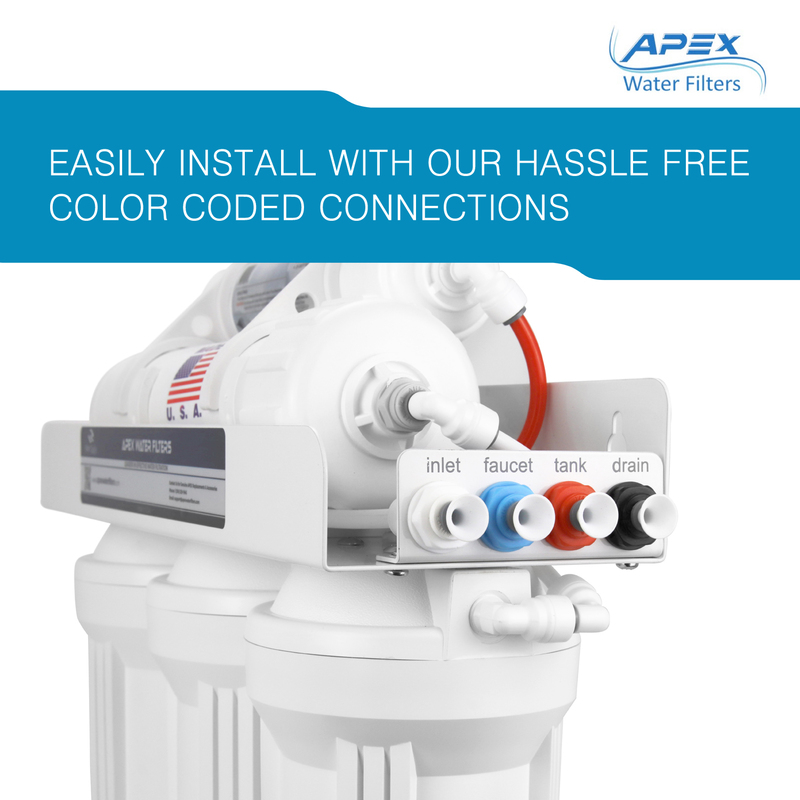 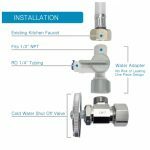 The filtration system is pre-assembled and can be installed with simple hand tools. 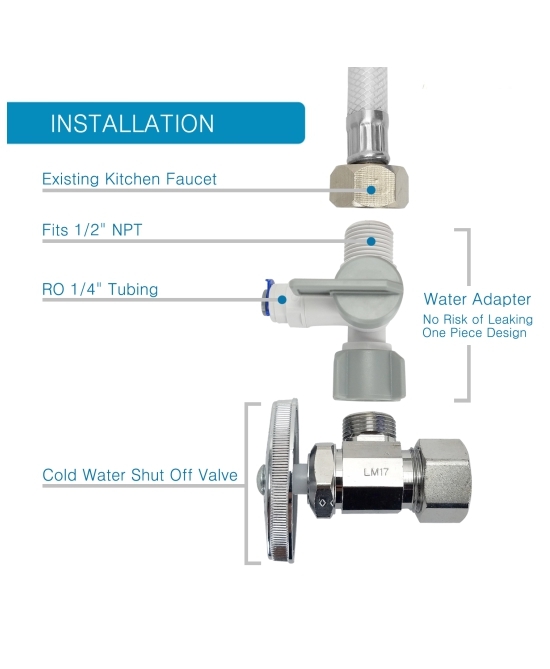 We recommend installation by a licensed plumber to insure adherence to all local codes. 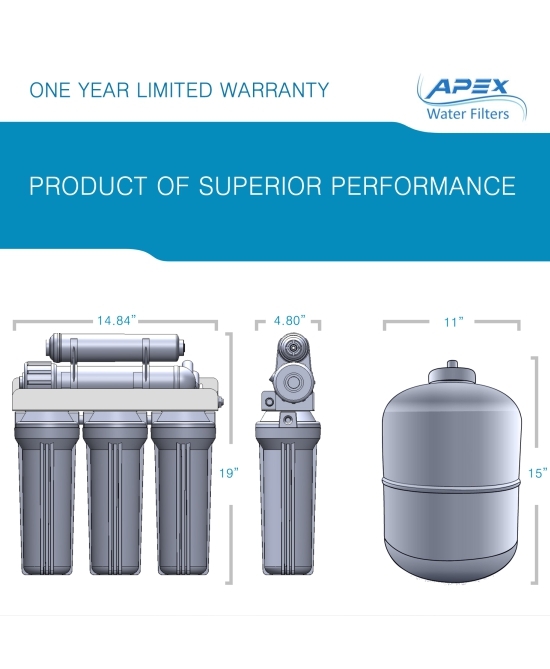 Routine replacement of the filter cartridges is recommended to maintain filter performance. 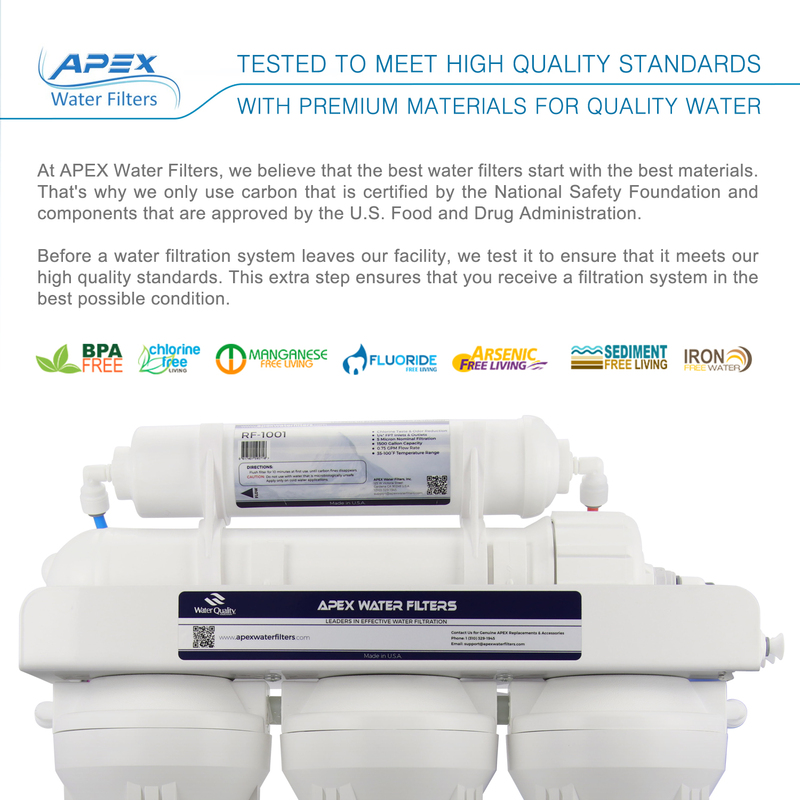 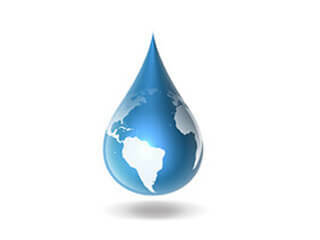 Replacement cartridges are available from APEX Water Filters. 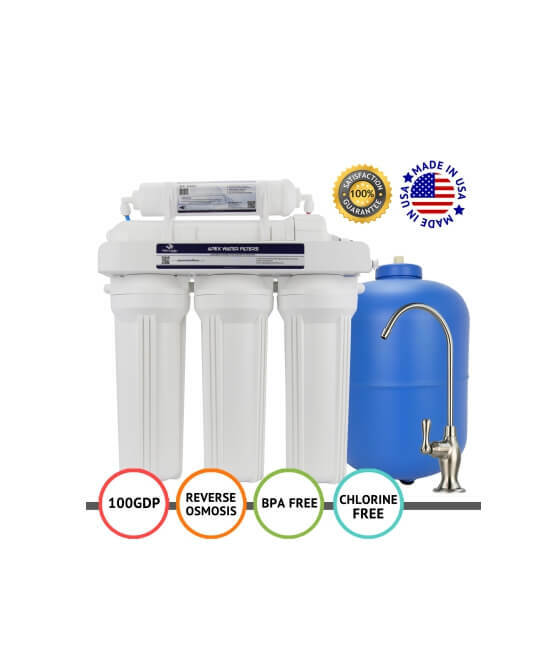 Filters sediment, absorbs chlorine byproducts such as chloramines, THM and TCE, removes dissolved gases, tastes and odors from the water. 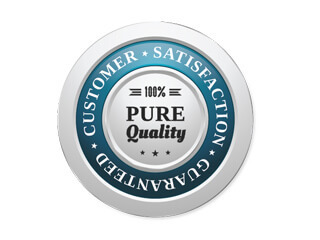 FDA/NSF approved high quality components.